(Worthy News) - Boko Haram terrorists have finally taken over the town of Michika in Nigeria’s Adamawa state, after repeated incursions in 2014 and 2016. The discouraging news in the war against West Africa’s branch of the Islamic State comes amid reports of 130 Christian farmers killed with machetes in Nigeria’s Middle Belt on March 10th, with Fulani Herdsmen perpetrating the killings in that instance. 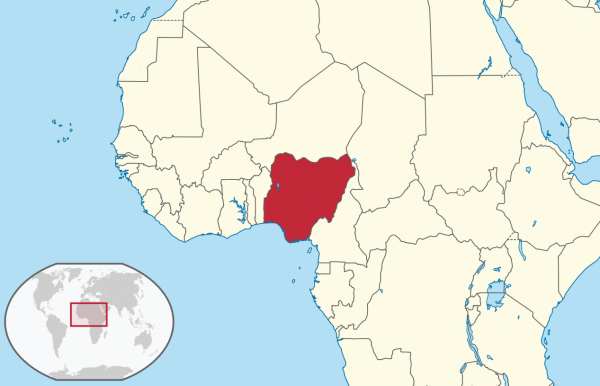 Dede Lawson, executive director of Save the Persecuted Christians (STPC), joined a swelling chorus of voices calling on the West to intervene in Nigeria’s situation as it teeters on the brink of genocide. “We reiterate the call for the Trump administration to send a special envoy to Nigeria and the Lake Chad region so that greater resources from the West can assist the Nigerian military to remediate a worsening crisis,” he said. Despite the persistent carnage that has seen 300 Christians killed in the last two months alone, and, according to International Christian Concern, an estimated death toll of 50,000 to 70,000 Christians over the last twenty years, a “conspiracy of silence” has prevailed among Western media outlets, in the words of Frank Gaffney, President of STPC. In July 2018, the Nigerian House of Representatives determined that killings in Plateau State by Fulani Herdsmen, who receive tacit support from Nigeria’s President, constituted genocide. Christians in Nigeria are harangued by two of the world’s most lethal Islamic extremist groups in Boko Haram and the Fulani Herdsmen militias, and the 2018 Global Terrorist Index placed Nigeria among the top three most terrorized countries in the world.